Well Sacre Bleu! 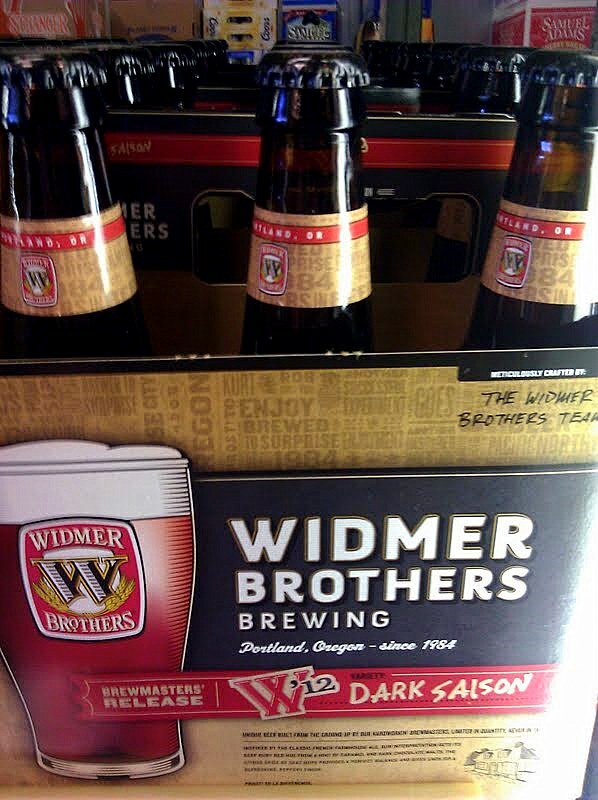 Widmer has done gone and fooled around with the classic Saison style and added Chocolate and Caramel malts to create Dark Saison, the 2012 style in their Brewmasters' Release series. I'm not sure how this will match up to the classic French Farmhouse-style beers, but I do know that "Dark Saison" is easier for me to say than "Avec Les Bons Voeux". I have trouble pronouncing "frites" without stuttering. The xenophobe in me doesn't mind paying the $8 to try Widmer's take on a style that, if done right, is as sublime as Pissaladiere or Brandade de Moure Marseilles. I first saw this at Sunflower Market on Lomas, though it should be appearing everywhere Widmer is sold.